More than 30,000 celestial images that were all but lost to science are about to find their way back into researchers' hands thanks to the efforts of thousands of citizen scientists. The photographs, radio maps, and other telescopic images were scanned from the pages of dusty old journals for a cosmic reclamation project called Astronomy Rewind. Its goal is to bring these "zombie" images back to life so that astronomers can find them online and compare them with modern electronic data from ground- and space-based telescopes, making possible new studies of short- and long-term changes in the heavens. Laura Trouille, co-lead for Zooniverse at the Adler Planetarium, suggests that with some 3,000 registered users (and another 1,500 or so anonymous ones) contributing to Astronomy Rewind, the roughly 10,000 images with coordinate axes should be placed into WWT within a few months—though, if history is any guide, it could be sooner. The remaining 20,000 sky views will surely take longer, as volunteers will have to do a bit of detective work to figure out exactly where the images belong on the sky. 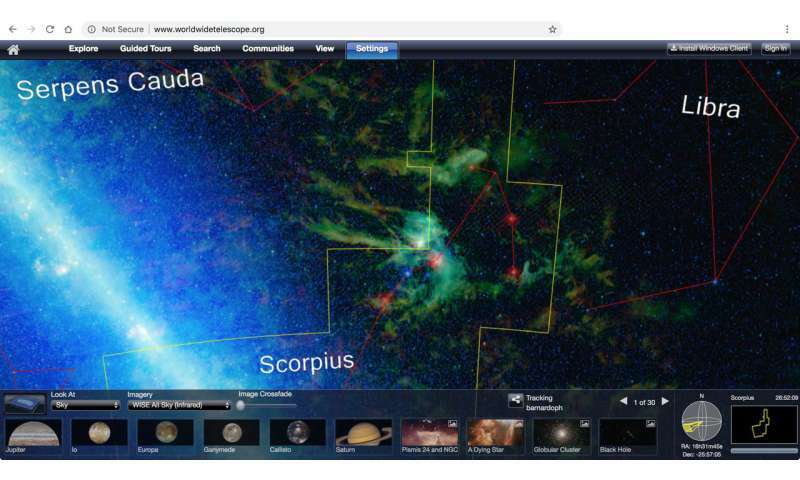 Originally developed at Microsoft Research, WWT is now managed by the American Astronomical Society (AAS). 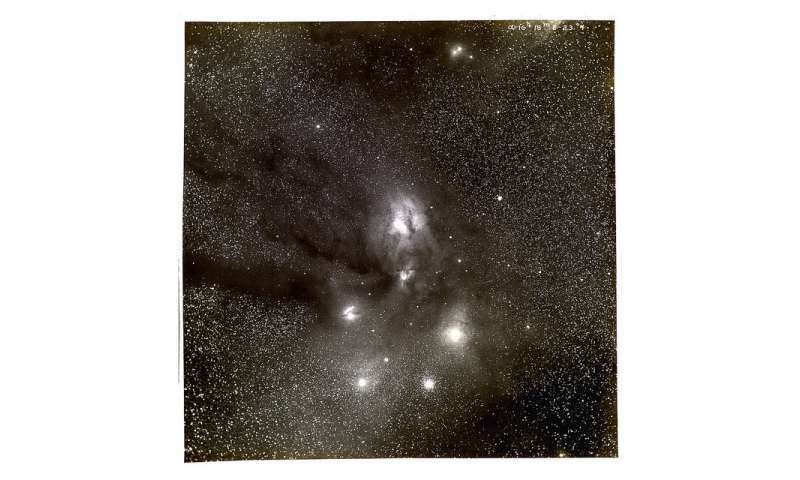 The images digitized so far, some more than 100 years old, come from the AAS journals—the Astronomical Journal (AJ), Astrophysical Journal (ApJ), ApJ Letters, and the ApJ Supplement Series—and were provided by the Astrophysics Data System (ADS), a NASA-funded bibliographic service and archive at the Smithsonian Astrophysical Observatory (SAO), part of the CfA. 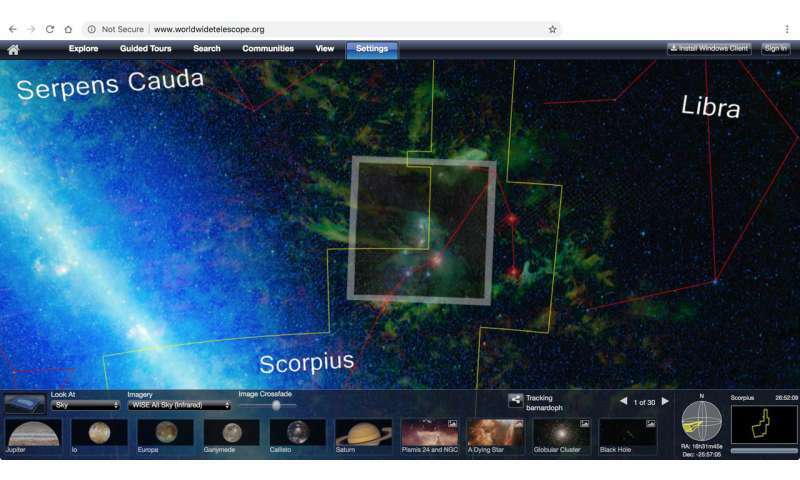 Results from a related project, the ADS All Sky Survey (ADSASS), have already been poured into WWT and the European image-display tool Aladin, which enables users to click on any astronomical image that originally appeared in one of the AAS journals and immediately call up the corresponding research paper. "Once this next phase of Astronomy Rewind is completed," adds Goodman, "anyone who's curious—historian, scientist, or enthusiast of any other stripe—will be able to see where our sky has been studied, when, why, and by whom, and to click on any image that appeared in any AAS journal going back to the 19th century and see it in context on the sky. How cool is that?!"